The Battle at Red Sole: Did The Court Get It Right? We don't think so. News hit earlier today about the drama over red-soles. If you've been paying any attention to the trademark case between Christian Louboutin and Yves Saint Laurent, you know they are battling over the use of the red sole trademark. 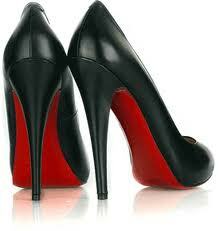 Louboutin has a trademark protecting their use of a "bright red outsole" for the footwear they produce. The Southern District of NY judge denied their motion to keep YSL from using red soles on their shoes while the case pends: “Because in the fashion industry colour serves ornamental and aesthetic functions vital to robust competition, the court finds that Louboutin is unlikely to be able to prove that its red outsole brand is entitled to trademark protection, even if it has gained enough public recognition in the market to have acquired secondary meaning,” said the judge in his ruling. YSL even alleges Louboutin does not deserve the trademark at all because of the generic nature of red shades to possibly be used in shoe soles. Strength: Louboutin has an extremely strong mark in their "red-bottoms", simply because everyone knows them by the moniker, and expects shoes with red soles to be made by Christian Louboutin. It's known everywhere, in all media outlets-- fashion and non-fashion. The company has made their mark in the shoe and fashion industry, simply by making sure every shoe they produce has a red outsole. All YSL shoes do not. Similarity: Sure the shades of red are vast and vary, but any non-"Louboutin Red" should be immediately suspected as a fake. You know it when you see it. The sole YSL claims to have been using since the 70s is, in fact, similar to the Louboutin sole. However, using the colored sole on a shoe here and there over the years leaves way for a gap in the market, which Louboutin has filled. Proximity in the marketplace: Louboutin wins here, too. YSL shoes and Louboutin shoes are clearly in the same market and can lead to confusion in the exact same customer base. EVERY Louboutin shoe has a red sole, no matter the style, upper color, or heel height; and the brand is widely known for it. Finding red soles on other shoes, especially in the luxury market will confuse consumers, and force the ever-vigilant fashionista to watch their purchases and selections. No shot to YSL; it's a great brand. You just need your own niche in the market. So, after this breakdown of trademark testing, we are extremely anxious to see how this case pans out. We believe Louboutin has met all the criteria it needs to keep its red sole protected, and are actually quite shocked this case is even in court. Share your thoughts on this one with us. We'll be watching it every red step. Follow us and other fashion law professionals on Twitter for much, much more!